How did Beatles manager Brian Epstein’s gayness affect his vision of the group’s potential? Did Brian Epstein’s Gayness Shape His Vision of The Beatles’ Potential? 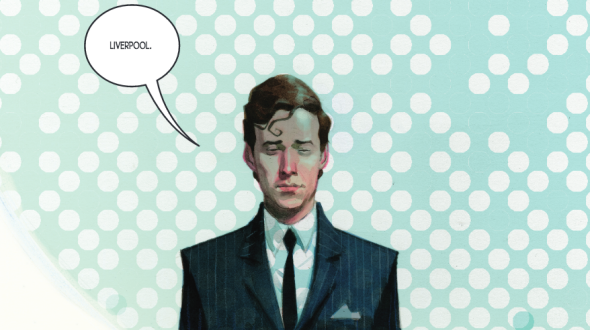 Brian Epstein as seen in a panel from The Fifth Beatle. Epstein, who died at 32 of an accidental drug overdose, was a tortured gay man who was bowed by the weight and import of his wealthy Jewish family. Yet he was also a wildly creative and worldly individual who harnessed everything at his disposal to be successful. Now famous for managing The Beatles, whom he met in 1961, Epstein set off a seismic transformation of music and culture. In recent years, a series of books, plays, and as-yet-unrealized screenplays, has sought to dig deeper into who Epstein was and how he infused his talent and torment into his work with the Fab Four. A new TV series is set to get to the heart of how Epstein compartmentalized all this incongruence. 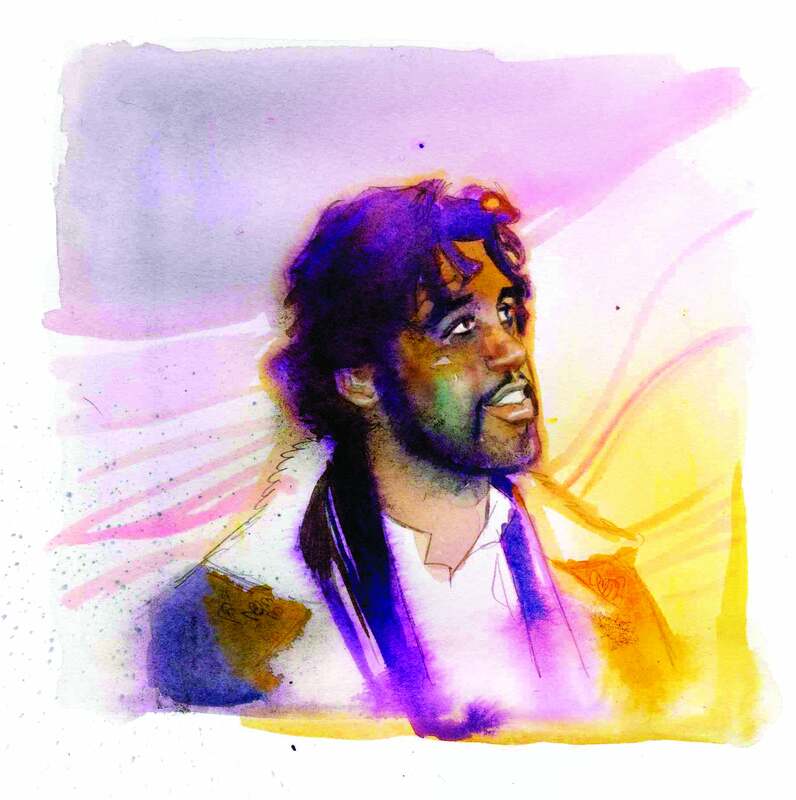 Vivek Tiwary, a Broadway producer and author of The Fifth Beatle—a graphic novel about Epstein, with art by Andrew C. Robinson and Kyle Baker—is currently developing it for television. He is slated to read from the script of the pilot episode, which he wrote, this Friday and Saturday at a Beatles fan festival in Rye Brook, New York. Tiwary, who has researched Epstein for more than 25 years, interviewing his friends and colleagues, considers Epstein a historical mentor and a creative force who has inspired him both professionally and personally. He also feels a responsibility to the LGBTQ and Jewish communities, which have both been strong supporters of The Fifth Beatle. “I’m very proud that I’ve spent hours in conversation with folks like Sid Bernstein and Nat Weiss,” says Tiwary of the Jewish producer who helped bring The Beatles to America and the gay lawyer who was Epstein’s greatest confidant. Tiwary set aside the mythic, oft-told aspects of Epstein’s story in favor of asking Bernstein, “Did you ever share a Passover seder with Brian?” Bernstein revealed that, when on the road, Epstein would often ask his assistants to find him a synagogue to pop into or a Jewish family with whom he could share a shabbos meal. 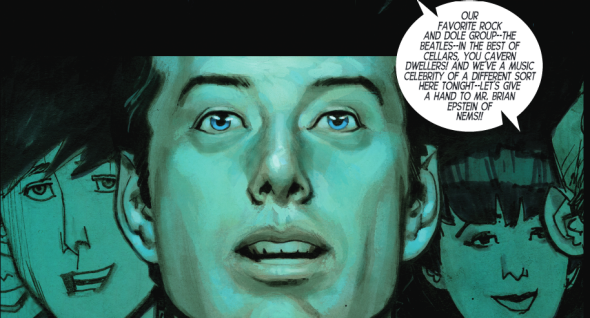 A panel from The Fifth Beatle. Weiss confided how fearful Epstein was that his sexuality would come to light—how he was absolutely paranoid that he would be incarcerated for it and that it would reflect poorly on his clients. “I believed that my own willpower was the best thing with which to overcome my homosexuality,” Epstein lamented in a letter to his lawyer, after he was questioned by police. Still, even after achieving fame, which in effect drew greater scrutiny to his personal life, he recklessly courted strangers. He was brutally beaten and lived under the threat of blackmail for those encounters. Much has been made of the notion that Epstein had a hankering for John Lennon. Tiwary calls the idea “hogwash,” but he believes it illuminates how Epstein’s sexuality played a role in his success. “I think he was definitely attracted to John, and that attraction is part of what gave him a vision, but that didn’t mean he wanted to jump into bed with his client,” Tiwary said, adding that in retrospect, this is one of the many finer nuances about Epstein that are important for us to understand.